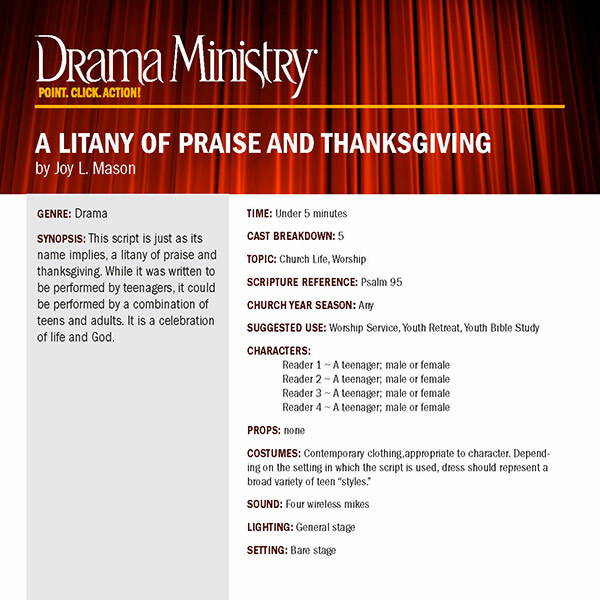 This script is just as its name implies, a litany of praise and thanksgiving. While it was written to be performed by teenagers, it could be performed by a combination of teens and adults. It is a celebration of life and God.